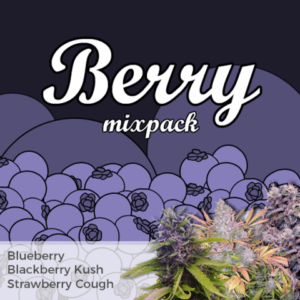 Juicy, berry marijuana strains are always highly popular, and these three are some of our best-selling feminized varieties. 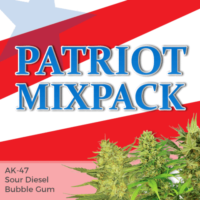 Suitable for indoor and outdoor growing techniques, and for all but absolute beginners, enjoy high quality yields with succulent berry flavors. Feminized seeds produce pure female plants, devoid of all male chromosomes. 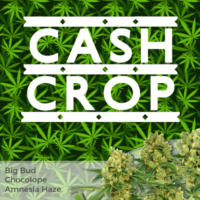 Requiring an average of 12 hours of darkness per 24 to flower, the plants will bud and mature over a period of between 8-9 weeks before achieving complete maturity when grown indoors, or the beginning of October when cultivated naturally outside. Blueberry – A very popular choice with medical marijuana growers for it’s high CBD content. Strawberry Cough – Popular medical marijuana strain with a creative high and sweet, fruity flavor. 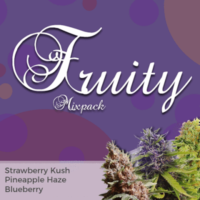 Juicy, berry marijuana strains are always highly popular. Can’t find the strains you are looking for? 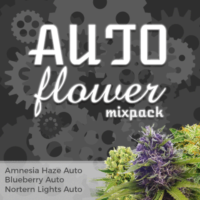 We have over 30 different seed combinations in our Mixpack section. Find out more and view the complete range of Mixed Seeds. NOTICE: You may be asked to return the ungerminated Mix Pack seeds.